Before owning any bitcoin, you need somewhere to store them. That place is called a “wallet.” Rather than actually holding your bitcoin, it holds the private key that allows you to access your bitcoin address (which is also your public key). If the wallet software is well designed, it will look as if your bitcoins are actually there, which makes using bitcoin more convenient and intuitive. Wallets can either live on your computer and/or mobile device, on a physical storage gadget, or even on a piece of paper. Here we’ll briefly look at the different types. The original software wallet is the Bitcoin Core protocol, the program that runs the bitcoin network. You can download this here (it doesn’t mean that you have to become a fully operational node), but you’d also have to download the ledger of all transactions since the dawn of bitcoin time (2009). As you can guess, this takes up a lot of memory – at time of writing, over 145GB. Most wallets in use today are “light” wallets, or SPV (Simplified Payment Verification) wallets, which do not download the entire ledger but sync to the real thing. Electrum is a well-known SPV desktop bitcoin wallet that also offers “cold storage” (a totally offline option for additional security). Exodus can track multiple assets with a sophisticated user interface. Some (such as Jaxx) can hold a wide range of digital assets, and some (such as Copay) offer the possibility of shared accounts. Online (or cloud-based) wallets offer increased convenience – you can generally access your bitcoin from any device if you have the right passwords. All are easy to set up, come with desktop and mobile apps which make it easy to spend and receive bitcoin, and most are free. The disadvantage is the lower security. With your private keys stored in the cloud, you have to trust the host’s security measures, and that it won’t disappear with your money, or close down and deny you access. Mobile wallets are available as apps for your smartphone, especially useful if you want to pay for something in bitcoin in a shop, or if you want to buy, sell or send while on the move. All of the online wallets and most of the desktop ones mentioned above have mobile versions, while others – such as Abra, Airbitz and Bread – were created with mobile in mind. Perhaps the simplest of all the wallets, these are pieces of paper on which the private and public keys of a bitcoin address are printed. 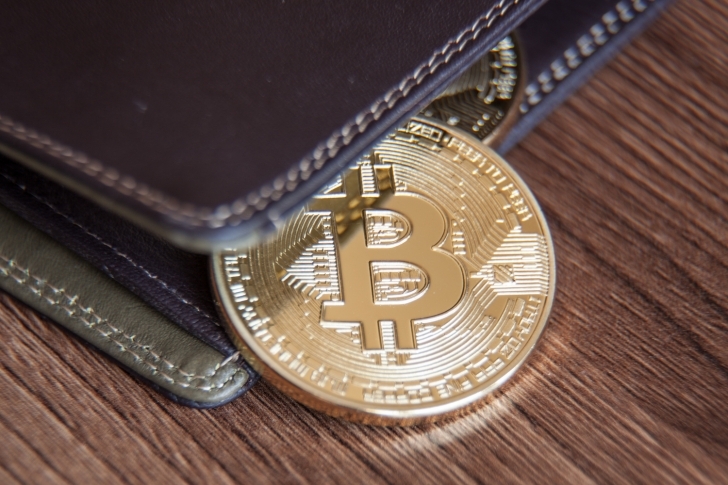 Ideal for the long-term storage of bitcoin (away from fire and water, obviously), or for the giving of bitcoin as a gift, these wallets are more secure in that they’re not connected to a network. They are, however, easier to lose. Next: What Can You Buy with Bitcoin? At some point you’re going to want to spend your bitcoins. But where can you go to exchange it for goods and services?